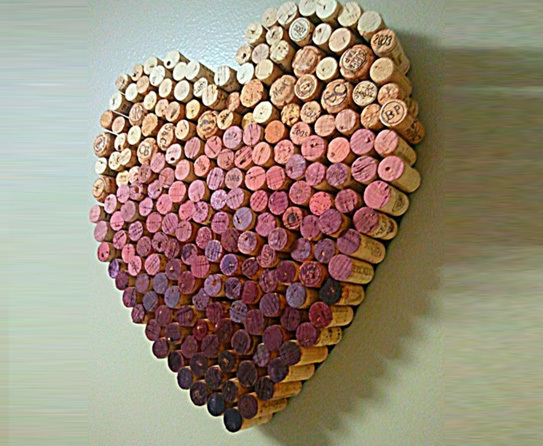 As a result of having lots of corks around, I have used them as décor accessories. They sit in an oversized wine glass, next to an oversized wine bottle cabinet, on our bar. I have used them in flower arrangements. 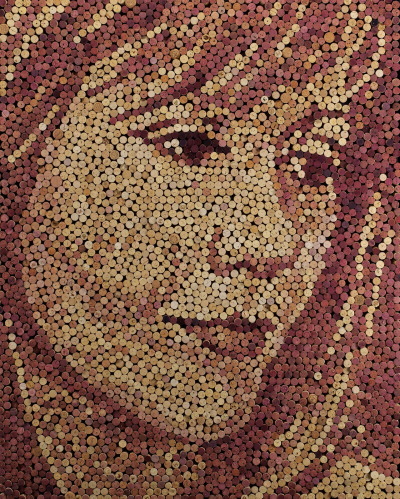 I lined a small glass cube with corks and popped a rose into a water filled florist's plastic tube and placed the tube inside the corks. Great for a wine tasting party! 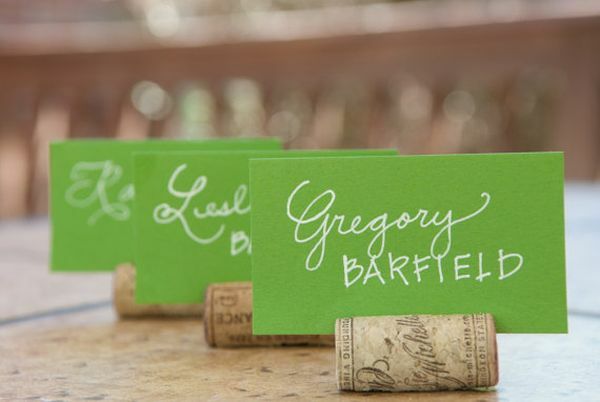 Corks can also make great place card holders or menu card holders. If you are using them on their side, just be sure to create a flat area so they don't roll around. How amazing is that?! 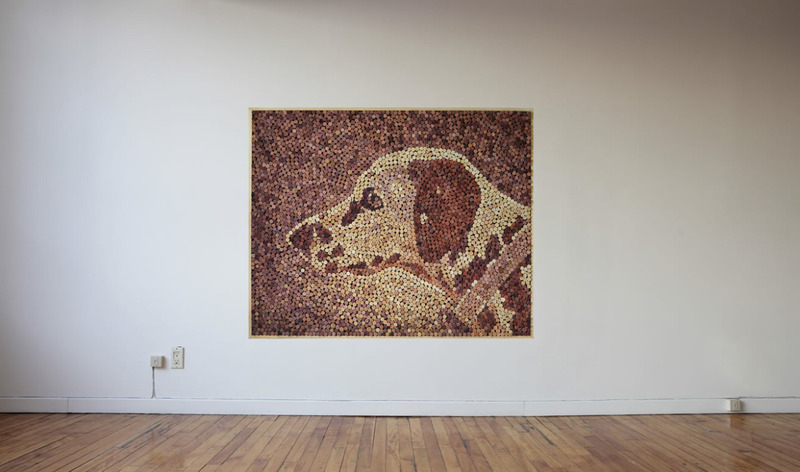 The artist, Scott Gundersen, uses thousands of corks in a range of colours to create his works of art. Perhaps this is a little more complicated than we planned. I think a simple ombre effect would look great. Gotta 'love' that.